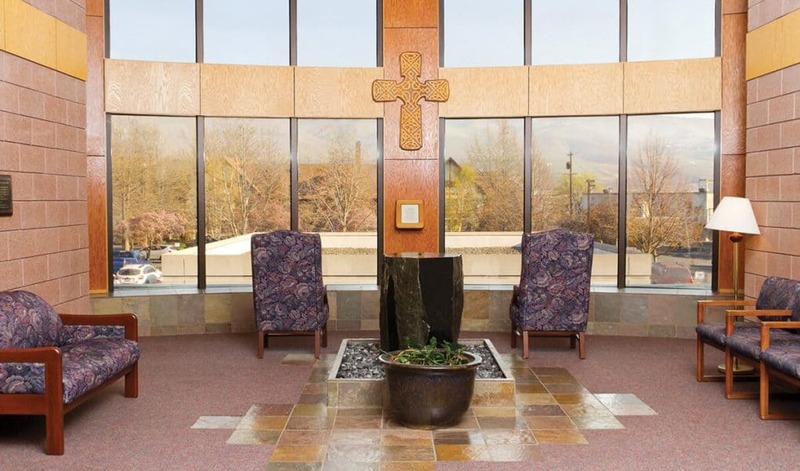 The St. Joseph Regional Medical Center project was an 11,000 sq. ft. interior space renovation. 2nd floor storage and office space were renovated to relocate and expand the outpatient pharmacy and gift shop as well as creating additional office and break room areas. The relocation of the pharmacy and gift shop from the 1st floor created additional space for the ER to expand adding a renovated trauma room, a complete new trauma room, exam treatment rooms, locker room and offices. Renovation included expansion and modifications to the HVAC, plumbing, medical gas, electrical and alarm systems as well as specialized medical lighting and headwall fixtures. The project finished successfully on time, and 2.22% under the original GMP. When 2.18% in changes for unforeseen and owner added work is factored in the project finished 4.4% under the GMP. There are many challenges when renovating in a hospital environment. Maintaining ongoing hospital operations, infection control, life safety and fire ratings are critical. Transporting materials and debris through the hospital, noise control during construction and construction are important too. ABC cannot take full credit for the solutions to these challenges. The hospital construction team and staff provided concise policies and requirements which we complied with. Scheduling was communicated, and staff consulted, resulting in no delays in the project or hospital operations.